When I was six my dad came home from work with a new games magazine for me to read. He’d been doing this for a while – he used to buy ZX Spectrum mags and CVG before I was even born – and now I was old enough to read and very much obsessed with my NES I loved each new issue he’d buy for me. This one was something else, though. It was bright yellow, was twice the size of normal magazines and was a special edition created by the CVG staff. It was called The Complete Guide To Consoles. 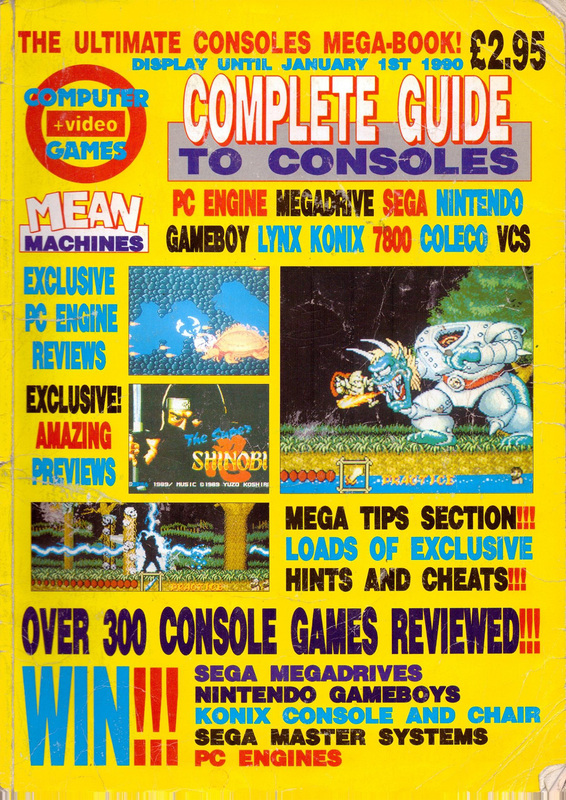 Inside its 124 pages were over 300 reviews, covering “just about every game available on the PC Engine, Mega Drive, Sega, 7800, Coleco and VCS”. Over the years the CVG team released a further three issues of The Complete Guide To Consoles, each one offering a new batch of reviews. There were spin-off issues too: The Complete Guide To Sega, for example, covered “every” Master System and Mega Drive game available at the time (though in reality it was missing loads of stuff). While I always enjoyed reading every magazine my dad brought home, I adored these ones in particular. I was constantly blown away by how many games were in there, and given that the first was released in 1989 – long before the internet was commonplace – they truly felt definitive. I carried them everywhere I went, read them over and over, knew them cover to cover. By the time the fourth book – covering the likes of the Neo-Geo and Super Famicom – was released, I was old enough to know what I wanted to do when I was older. Firstly, I wanted to write for a video game magazine: preferably CVG or Nintendo Magazine System, its official Nintendo spin-off. Secondly, I wanted to write something ‘definitive’ too. Something like The Complete Guide To Consoles, that people would love, read multiple times and cherish like I did with those mags. Basically, I wanted to follow in the footsteps of my lifetime hero, Julian ‘Jaz’ Rignall. He joined CVG as a staff writer, became editor, then ended up editing The Complete Guide To Consoles too. Jaz was the man, basically, and I wanted to do what he did. Those of you who know me already know how the first part of my dream went. 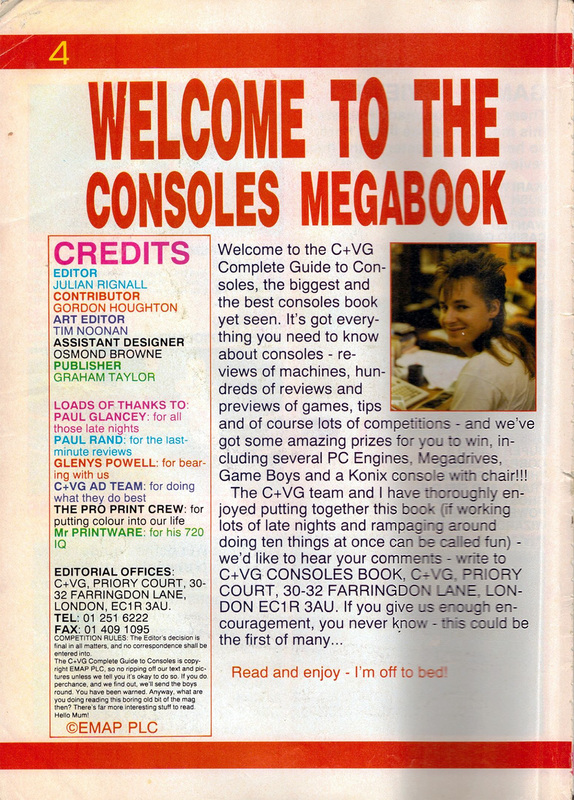 I went to university and got my Journalism degree in the hope it would help me get into a games magazine, and sure enough I made it: first as a staff writer (and then games editor) for the Official Nintendo Magazine, then online editor for Nintendo Gamer and finally – completing the dream – as games editor for, yes, CVG in its final years before it was tragically closed down. I’ve been a games journalist for 12 years now, and have been lucky enough to do the ‘holy trinity’ of working on a magazine full-time, working on a website full-time and working freelance while running my own website. It’s safe to say, then, the first part of my dream – to write about games for a living – has been well and truly ticked off. The second part, though – to write something definitive – has continued to elude me. Until now. Since late last year I’ve been annoying my Twitter followers by constantly referring to my Secret Project™, something that would be bigger and better than anything I’ve ever done in my career to date. It’s finally time for me to reveal what I’ve been working on. Say hello to my book. 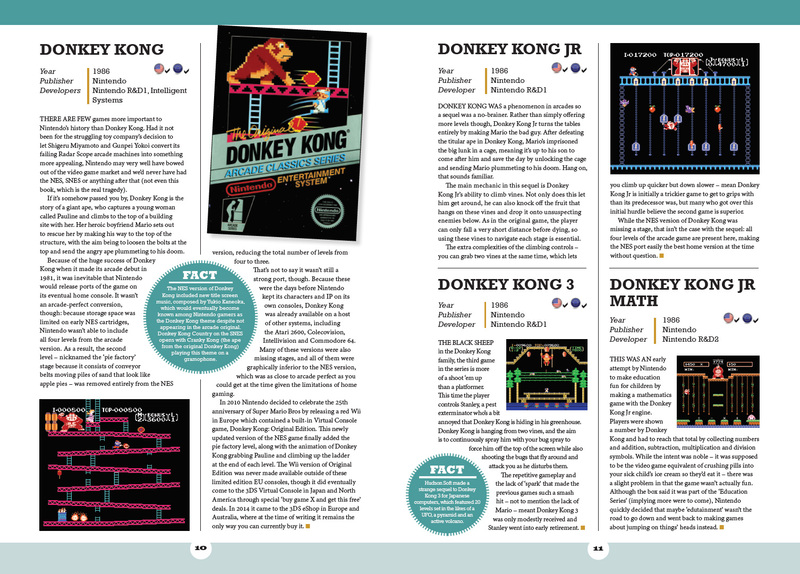 As the name suggests, the NES Encyclopedia covers every single game released for Nintendo’s legendary 8-bit system in the west. That’s a total of 714 games, including those only released in Europe and/or Australia. At the risk of sounding like an infomercial, that’s not all! There’s also a bonus section at the back of the book covering a further 162 unlicensed games: essentially every known ‘unauthorised’ release during the NES era that was A) committed to cartridge, B) not just a bootleg of a legit game, and C) not one of those 200-in-1 carts. That’s 876 games in total, then, all explained by yer man Scullion and all accompanied by a colour screenshot so you can see what every game looks like. Even better, I’m honoured, privileged and humbled to announce that, bringing my life full circle, the book’s foreword has been written by none other than said hero Julian ‘Jaz’ Rignall, in which he tells the story of the first time he saw the NES when working at CVG in the mid ‘80s. Now, anyone who’s read my ridiculously long Complete History Of Street Fighter or Complete History Of Bomberman articles knows I don’t do things by half measures, and that’s going to be the case with this book. It’s a full colour, hardback, A4 book, and it’s 187,000 words long. To put that in context, that’s 20,000 words longer than the first two Harry Potter books combined. To be clear, this is not a compilation book that’s edited by me and written by a bunch of different journalists and critics. Every single word in this book is mine: this is my baby and I’m so proud of it. It’s going to be published by the lovely people at White Owl Books, an imprint of Pen and Sword Books (who publish military and nostalgia books worldwide). Their distribution network means my book will not only be released in the UK, but also other regions worldwide including North America. Essentially, wherever you live in the world, you’re going to be able to buy or import this book (North Korean availability TBC). White Owl have been fantastic throughout this entire process, and my contact Jon Wright is a passionate gamer who fully understand how important a book like this will be. Because he also knows me and my work, Jon and White Owl have given me plenty of control over my book, meaning I’ll get to sign off on all the pages and the book’s marketing plan once it’s ready for release. Long story short, it couldn’t be in better hands and these guys respect the subject matter. Well, you’re in luck. The book’s still in the process of being laid out as I write this, but here’s an early sample spread to give you an idea of what we’re going for. Imagine that extended to 270 pages – more than twice the thickness of my beloved Complete Guide To Consoles – and hopefully you’ll start to see how excited I am about this. And also how tired I am. Anyone who’s been following my work for long enough will probably have heard my story about how the NES was the system that made me fall in love with gaming. 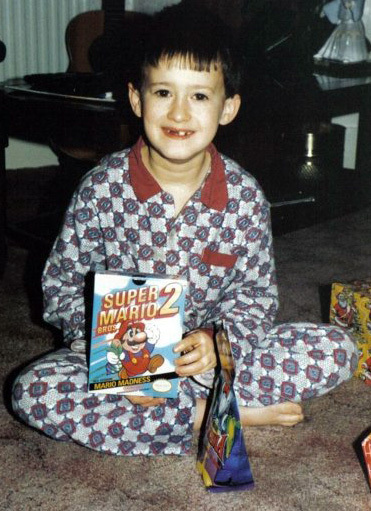 Essentially, had I not discovered the NES at the age of four when visiting my aunt in America, I may never have fallen in love with gaming, I may never have gone to University to try and write for a games magazine, I may never have moved to London to work for ONM, I may never have met my future wife there, and so on. The NES isn’t just one of my favourite systems: that little grey box has literally shaped every major beat of my life for the past 30+ years. Because of this, there’s really no other system I could have dedicated my first book to. I know it inside-out, I know its software library better than any other, I love everything about it. 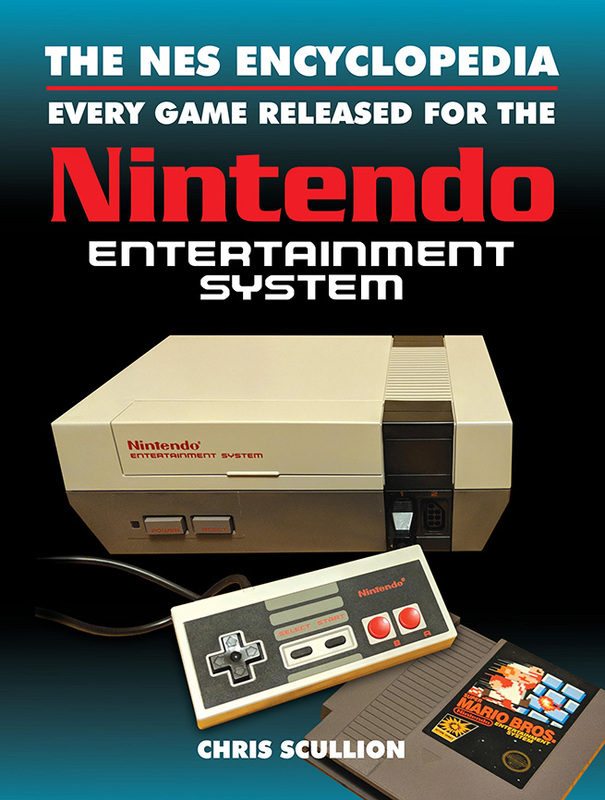 It’s appropriate, too: the instant sell-out of the NES Classic Mini a couple of years ago shows there’s still a real love for the system, and the fact that Nintendo’s launching its Switch Online service next week with an ever-growing library of NES games means there’s a new need for today’s gamers to find out more about this system and its catalogue. But what if I’m not interested in the NES? Well, firstly I hope you’ll still consider buying it. Not only was it my first video game love – and the reason I couldn’t possibly have covered any other system than the one I hold dearest to my heart – I’m hopeful that my usual writing style will still make the book entertaining and informative in equal measure. There’s another reason, though. While I was writing this book and ticking off my second dream, a new third dream formed in my head. I’m so happy I’ve been given the chance to write this book, and I’m so satisfied with how it’s looking, that I want this to become the first in a series of console encyclopedias. 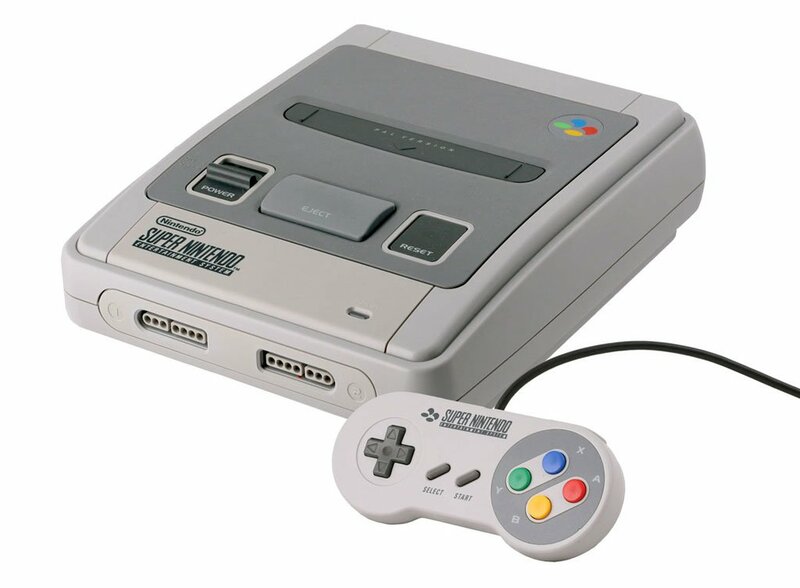 In an ideal world, book two will cover the SNES, book three will cover the Mega Drive, and then who knows. GameCube? PlayStation? NeoGeo? There are so many possibilities. Maybe this could end up becoming my life’s work, and every year or so the next book in the series will launch, giving gamers the chance to collect a growing anthology of video game reference books that are (hopefully) well-written and full of bad jokes rather than vague and inaccurate Wikipedia pages. The good news is that White Owl have agreed in principle that if The NES Encyclopedia meets a certain sales target, I’ll be given the green light to go ahead with book two, The SNES Encyclopedia. My Super Secret Project™, if you will. Well, hold your horses. That’s the only bad news: you’re going to have to wait a little while. The plan was to announce this book nearer the end of the year, but a couple of sites like Amazon and Waterstones have already jumped the gun and put up extremely early listings for it, with inaccurate information (a much lower page count) and an older cover design we’re no longer using. They don’t even have pre-order links yet, because it’s far too early for that. Since it was only a matter of time before someone stumbled on it on Amazon and asked me what was going on, we’ve decided to announce the book now. What this does mean, though, is that you’re going to have to wait a little longer than I’d like before you can get your hands on it. Once it’s laid out I’m going to have to read through it all and make sure it’s okay, then we’re going to have to publish and distribute it. What this means is that we’re looking at a release date of March 2019 for the UK, and May/June for the US (for those Americans not wishing to import). All I have to say just now, then, is this: the book is coming, hold tight and I’ll let you know on social media and this site when it’s finally ready for pre-orders. Nearer the time of release I’ll give my Patreon peeps some behind-the-scenes information on how I put this absolute beast together, and will obviously start promoting the hell out of it on Twitter and the like. There’s still a bit of a wait, but I’m confident it’ll be worth it. I’ve put so much work into this book, pouring so much research and heaps of my own knowledge and experience in there, that I won’t be happy with anything less than… well, definitive. Thanks for all your support and your patience while I’ve quietly worked on this, constantly blaming my Secret Project™ on the lack of updates on Tired Old Hack. I hope now you can appreciate why that was the case. I’m so excited for this book to be released. I hope you’re just as excited to read it. This is fantastic news! I got a book similar to this for a bunch of console games released in the 90s, but most of the smaller games had very tiny descriptions or excepts from other places, which irritated me and only made the book useful as a potential way of gauging if a game was good or bad. The same author sent a SNES Omnibus I have to read more of but that still seems to be a bit of the same, just with more excerpts and scans. This is the sort of stuff I’d be totally into, and even though i really don’t like the NES, this still sounds like a great thing to check out that’ll give a ton of lovely reading time. Congratulations dude, Looking forward to it! Absolute magic yer man Scullion. Wish you all the best and I’ll hands down be buying it! Awesome. This looks amazing. As someone who has the NES to thank for their love of gaming, as well as somebody who enjoys the way you do words and stuff, i’ll Be picking this up. 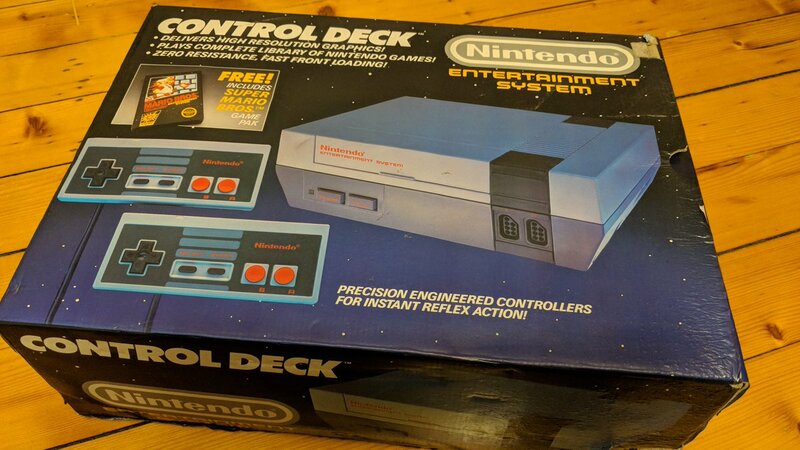 Incidentally my birthday is in March, I’ll use that as an excuse when the misses asks why I went and got ANOTHER Nintendo book. Are you cool if I reblog this? Wow this is amazing! Looking forward to it! Everybody should be paying attention to this, it will be magnificent. I am mad excited for this. Day 1 buy! Now how the feck were you able to play all 800+ games over the course of a couple of years and still stay a) sane, and b) not homeless? I grew up as a Sega kid and basically skipped the NES and SNES, but I enjoy reading encyclopedic books like this. Looking forward to the release, and hopefully you’ll do a Mega Drive / Genesis one in the future! Fantastic news Chris and I can’t wait to purchase and read! Out of curiosity (I know you’ve covered that every word will be yours), but what do you think will be the difference between your book and say the guys over at bitmap books (I already own their Amiga/NES/SNES and ordered their upcoming Master System book)? I love the books that the guys at Bitmap Books do – this isn’t designed to compete with them, it’s designed to complement them. The Bitmap Books titles are called Visual Compendiums for a reason: although they have written articles in them, they focus more on each game’s artwork, with those gorgeous big double-page screenshots and the like. That said, they don’t cover every single NES game ever made, just a selection of the most popular and iconic ones. My book, on the other hand, is more of a reference book designed to show the console’s entire library – both the good and bad games – because let’s face it, everyone had a few strange and rubbish games in their library. I love seeing Super Mario Bros getting a nod in every book, but some people had Low G Man, or Isolated Warrior, or Rescue: The Embassy Mission (to name three random games) and will want those games to be accounted for too. I’m glad I was “the one” haha. Hey Chris, I have to say that this is incredible. I loved reading the Official Nintendo Magazine back in the late 90’s and the NES was the first console to get me into videogames. I will certainly buy a copy as soon as it is published and if you can sign for me as well, I will treasure it always. It is people like you that inspired to create Miketendo64.com so I can keep sharing the joy of videogames with those that appreciate it. That’s okay, I didn’t take it to heart. There might be a fair few sensitive souls here on the web but I learned to grow a thick skin a not to take things too seriously.